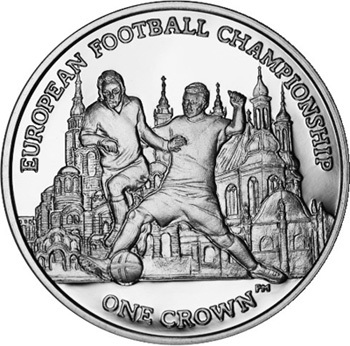 The Treasury of the Government of the Isle of Man have issued (9th January) a set of new crowns which mark the start of the European Championships 2012, also known as “EURO 2012”. Scheduled to kick off in both Poland and Ukraine on the 8th June, it is the first time for both countries to host this extraordinary sporting event. The tournament features sixteen National teams, including the two host Nations and will conclude on the 1st July. Coin 1. The statue of the Sitting Statue of Liberty in Lviv and Neptune’s Fountain in Gdansk. Coin 2. The Motherland Statue in Kiev and King Sigismund’s statue in Warsaw. Coin 3. The Cathedral of the Transfiguration of Jesus in Donetsk and the Raclawice Panorama in Wroclaw. Coin 4. The Cathedral of Annunciation in Kharkiv and the Cathedral in Poznan. 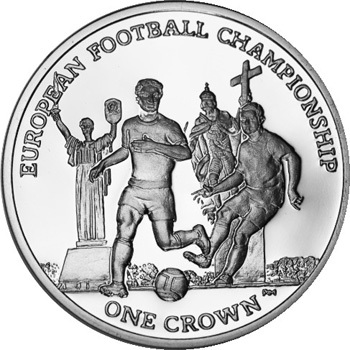 The obverse of the coin which was specially commissioned for the Golden Jubilee and depicts H.M. Queen Elizabeth II shown in a double profile, conjoining a contemporary and the first numismatic portrait used in 1953. 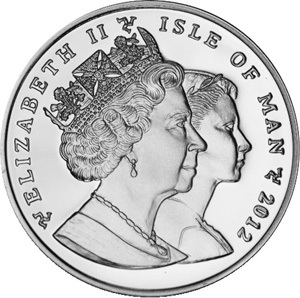 For the first time, the Isle of Man Government will be issuing a half crown denomination in silver with a diameter of a traditional crown. 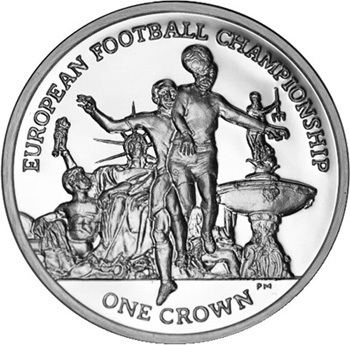 The silver crown is struck in both sterling silver (proof quality) and cupro-nickel (UNC) the crowns have a weight of 28.2 grams and a diameter of 38.6 mm. 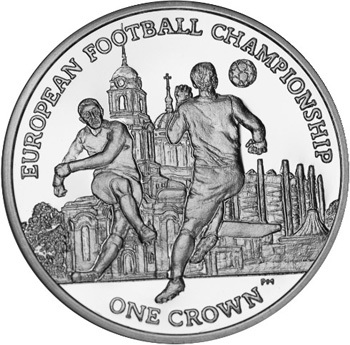 The new half-crown denomination weighs 12 grams and is struck to an FDC quality in sterling silver with a diameter of 38.6 mm.